I remember when I got my first fishing pole. I remember my first tackle box, landing net, and of course my first fish. From there it only grew. Eventually I filled that first tackle box, and then another, and another. Then I started carrying tackle trays in a backpack but even that ran out of space. Even I'll admit I rarely use half that stuff in any of my backpacks, but I like feeling prepared. The more I thought about it though, I realized that there was only a small handful of trout lures I ever used. 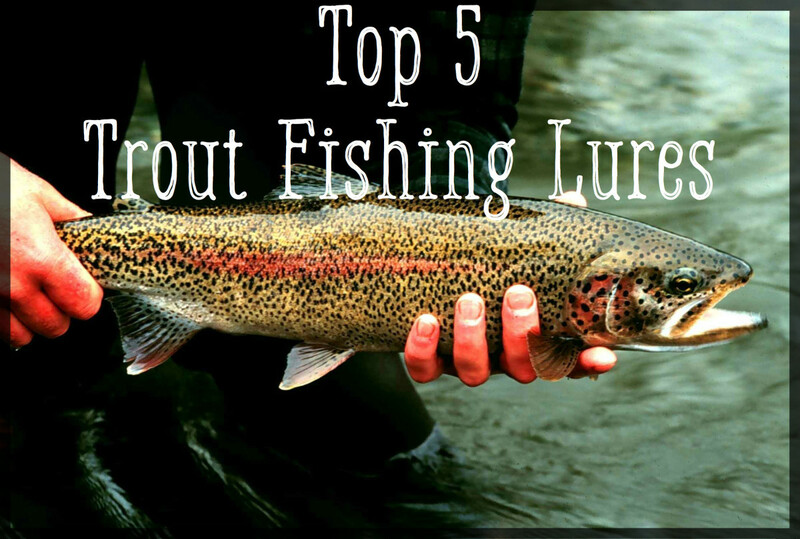 So here they are, my 5 best trout catching lures. 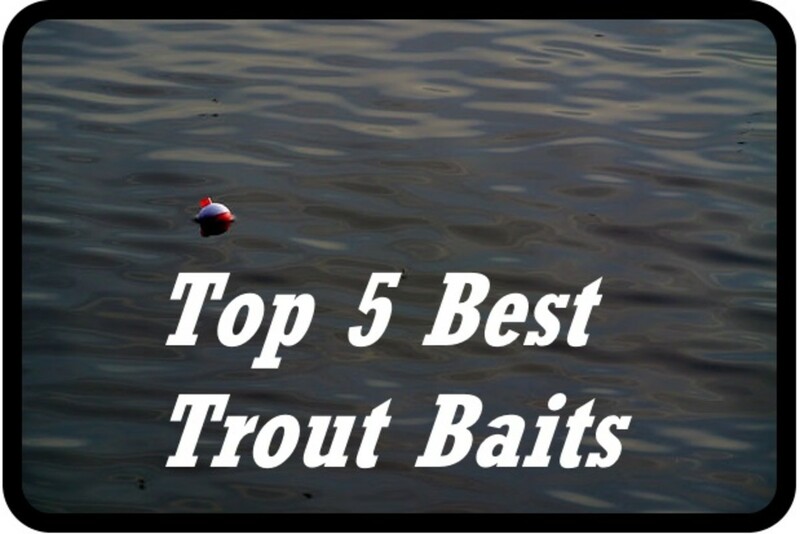 Also be sure to check out my Top 5 Best Trout Baits. This is one of the first lures I ever fished with. It was always a favorite of my dad and way back when, when he was rigging the line, this was what he usually choose. 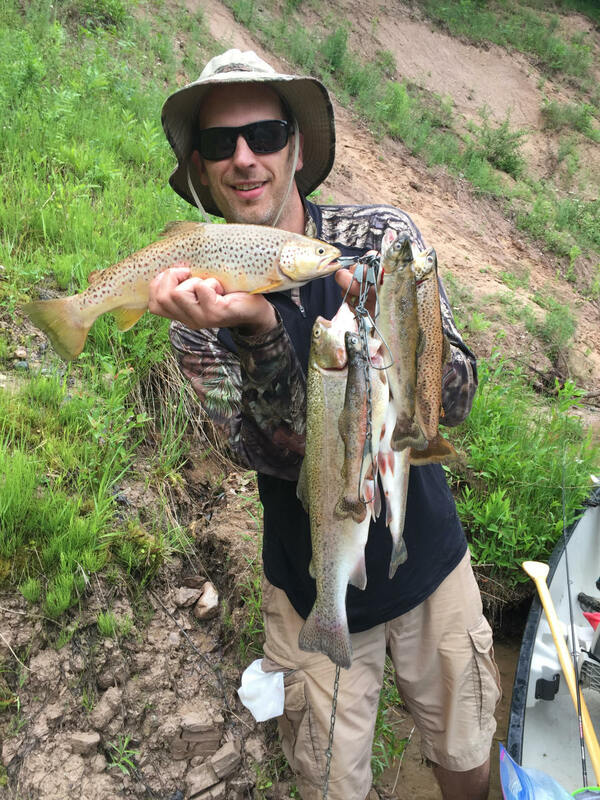 They have caught me numerous trout as well as bass, crappie, walleye and other game fish. The reason I have this listed in fifth place is that they can be tricky to use. They are typically to light weight to cast without adding weight to your presentation, and have a tendency to "roll" rather than wobble when weighted. I've had the best luck using a series of snapshot strung at least 18" above the lure. When these lures really excel is when trolling. They can be rigged deep with weights or by using lead core line, but often my best luck has been slow trolling them along the surface, just fast enough to get them "kicking" on the surface. You can't beat top-water strikes. As for my favorite colors and sizes, I'd have to go with Frog pattern in the 1 1/2 inch size. Option two would be the same size in solid Gold. Mepp's Aglia lures may be the top producing trout spinners in the world. The blades rotate even at very slow retrieval rates, and their compact design allow for far-reaching casts for the shore-bound angler. When trolling, I find that they tend to ride up in the water column and need to be weighted to be fished effectively (contrary to the flatfish, spinners are very ineffective surface lures- the blade just wont spin). As for colors, my favorite is the original model with the bare gold spoon. Option two would be the same with a bare silver spoon. As for size, I would first reach for the 1/8 oz. Under most circumstances this is the best middle ground for size and weight. In deeper or faster water, 1/4oz might be a better bet. In gin clear water or small streams, I might size down to a 1/16oz. The Wooly Bugger here is a "Bead Head" version. The gold bead adds weight and some extra flash. So I agree that this is kind of the odd man (or bug) out in this list, but it's a must have. 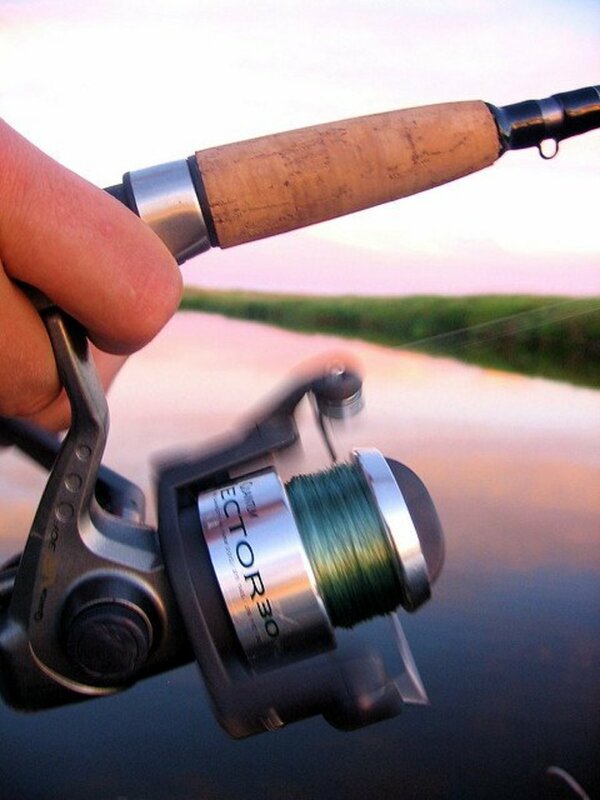 Fishing one on spinning gear takes a little more rigging than with a fly rod, but it can be done, and if done correctly will prove very effective. The most common way is to attach a clear casting bobber above the fly. This serves a dual purpose, it is your weight and strike indicator. In most cases, I will attach the bobber about 3 feet from the fly. 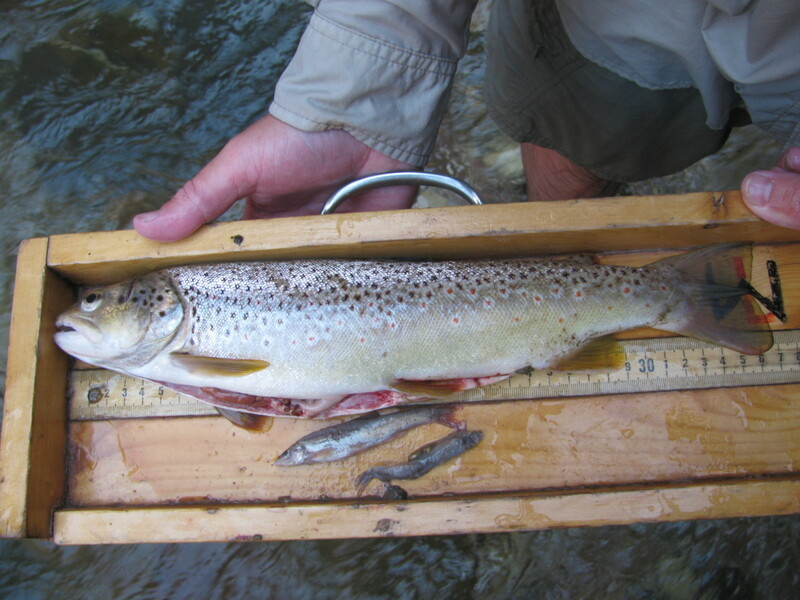 The further the bobber is from the fly the more natural the presentation will appear. This set up can either be still fished or casted and retrieved. Keep in mind that a fly has no inherit action of its own, so it will help to vary your retrieve speed and give the fly an occasional twitch to make it come alive. When the bobber takes a dip, well you know that drill. As for color I would say olive is my favorite followed closely by black and brown. 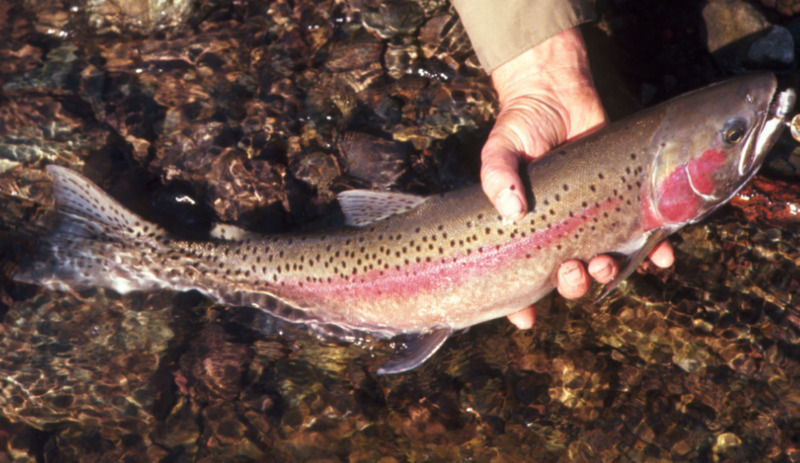 If these colors seen too bland for your taste, chances are you can find a Wooly Bugger in everything from chartreuse to puce (Although I can't say much for how well these colors catch fish). And size, I'd say #6 and #8 mostly. It almost pains me to give Rapala Original Floater second place. 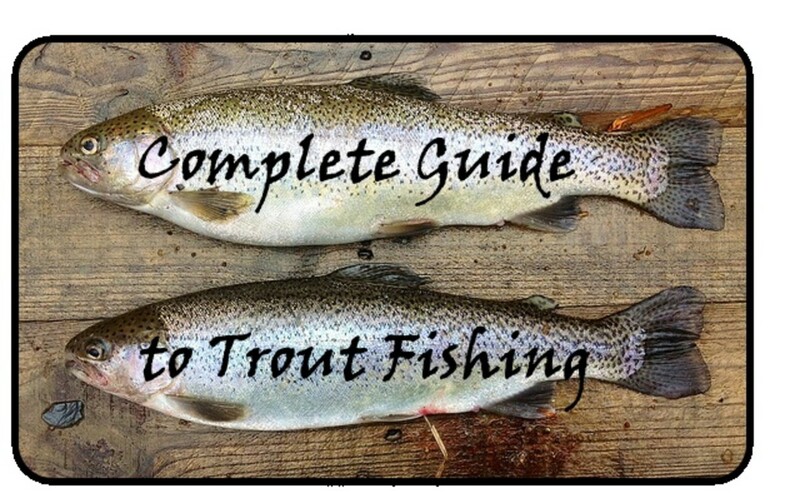 If this list took all fish species into account, it would probably take the number 1 slot, but for trout, he'll take second. These lures can be fished in more ways than I can count. They are rather light, but cast easily enough on a light weight trout set-up. When retrieving this lure, I reel at a constant speed, and occasionally twitch the rod tip towards the lure, creating slack in the line. This will cause the Rapala to pause and hang momentarily in the water. 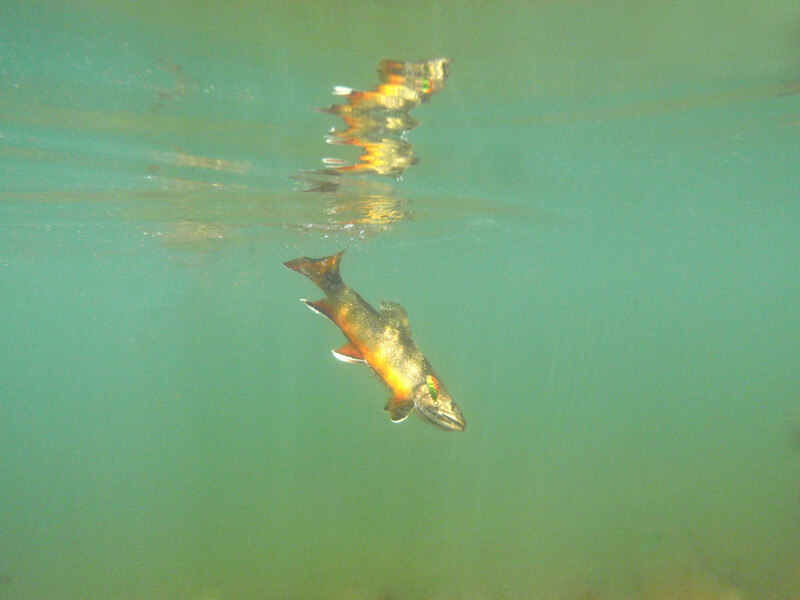 Often, this pause is exactly what a trailing predator trout is looking for to trigger a bite. Additionally, these lures prove very effective on the end of any trolling setup. Panter Martin Spinner: this is the yellow spotted model. It seems to be taking the green spots place in production. It has proved equally effective though. I guess I could always paint my own green spots on. To be more precise, the Panther Martin spinner (they are known for they're spinner but make a variety of other lures now). I love this lure! In fact, I have a pretty spendy spinning setup that I have devoted just to this lure; it never comes off (except to change it to another size maybe). I would say 80% of the time when targeting trout somewhere new, I will try this lure first. In my book, this is the best all around trout lure ever made. The "through the blade" spinner design is by far the most reliable in my experience. The large blades move a lot of water, you can feel the "thump, thump, thump" of the rotating blade right up though your rod. This way, you know that the lure is really working. The compact design allows for tremendous casting radius and allows the lure to work deep in streams. They have worked practically everywhere I have fished them. Favorite color: Black body with green spots (yellow spots work alright too) with a gold blade. Option two would be yellow body with red dots with a silver blade. Favorite size: Again 1/8 oz is my favorite. 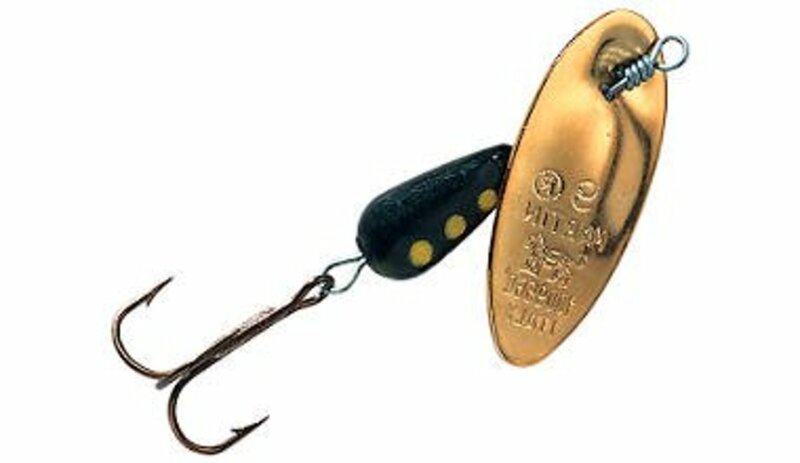 If I had to bet a single day's trout fishing anywhere in the country on one lure, it would be a Panther Martin spinner. The Panther Martin Best of the Best Kit provides lure color combinations to effectively fish any light and water condition. Which of these five lures is your favorite? Favourite for trolling is the 3W's. The list is solid. You prob have 3 of my top 5 favorites as well. Panther Martins are very hard to compete with form shore. OK. I'm a brand new fisherwoman - finally retired so I have time to fish. My question is: Do you put bait on the hook parts of these lures, spinners, etc.? I completely agree, the Kastmaster is a great lure! Probably one of my favorite spoon styles, and definitely a lure worth having in the tacklebox. I've also used them very successfully vertical jigging with bait while ice fishing. 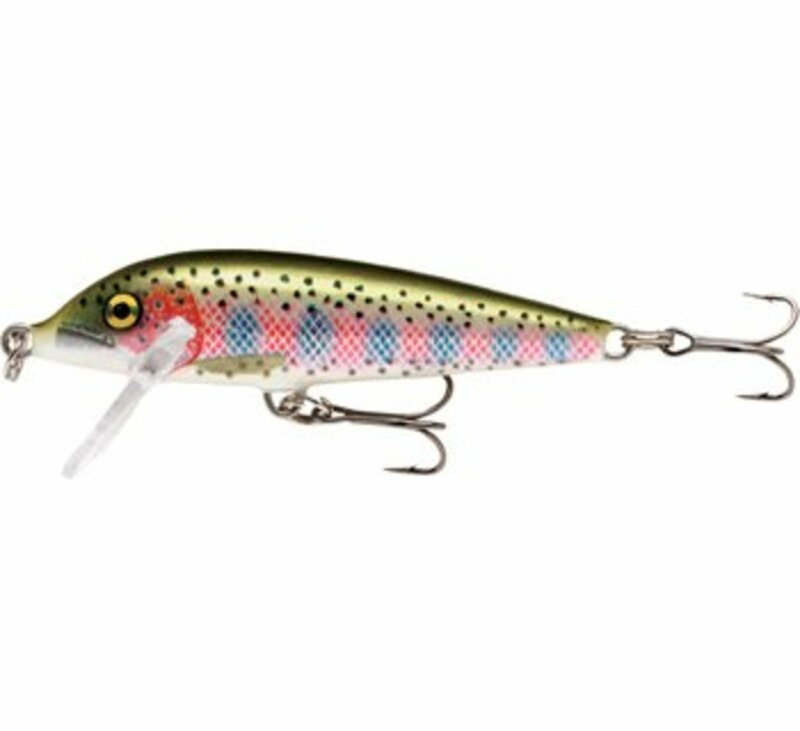 A great spoon style lure is the kastmaster, in Chrome (generic three pack possibly made by southbend )low cost, effective, easy to fish,no line twist and good cast distance. Glad you've had luck with it! It really is a great lure, almost always my first cast at a new lake or stream. The Panther Martin, specifically the one you’ve shown is hard to take off the line. I have had great success catching brookies with this spoon!! Spoons are not on this list. 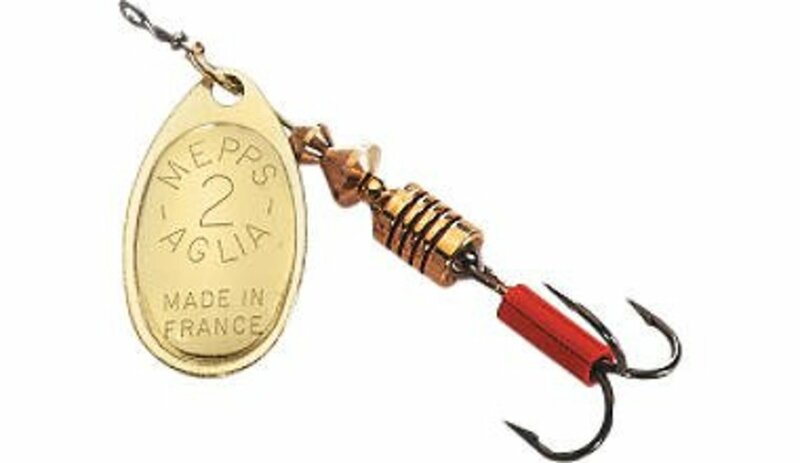 Little Cleo's are my go-to lure and I recommend using it in either silver and blue or gold and something else. In the last four weeks Panther Martins (Mostly Gold body and blade) have worked on Saugey, Largemouth Bass, Crappie, Rainbow Trout, Brown Trout, and the occasional Brook Trout. Best spinner ever except for the line twisting part. CastMasters for a few minutes at the end of the day to straighten out the line, never seem to actually catch fish on them. A good selection of lures you have here. 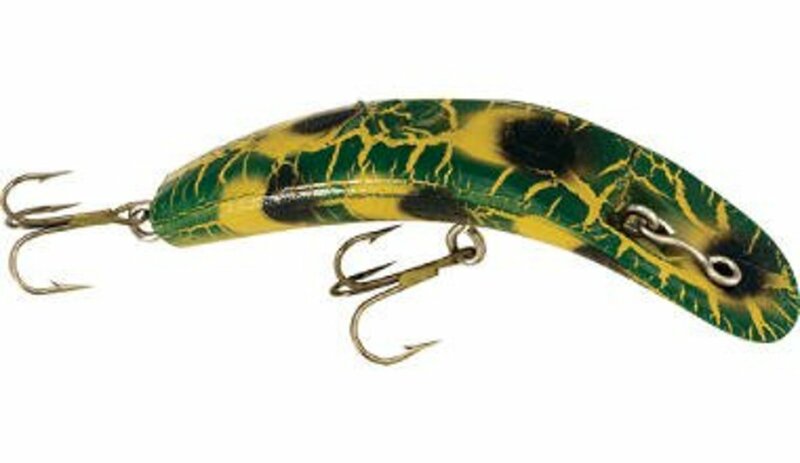 I like a rapala fo5 in gold for deeper pools, a vibric rooster tail for most other applications, black being the top color. Some small spoons are also good to have, a small pheobe being my favorite. Well nice post.. Well done. 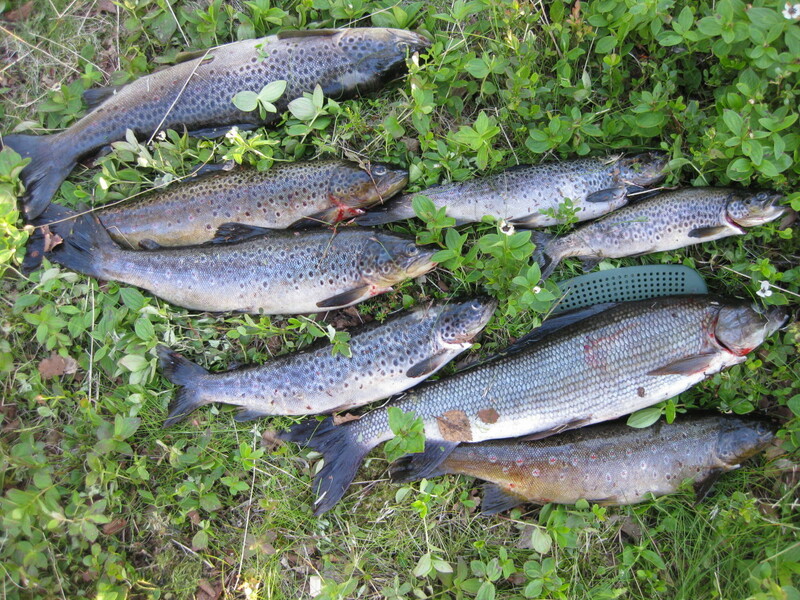 I think the best trout fishing need really good tackle and trout lures. Roostertails are a favorite, as are a fly I tie that I call "Big Ugly". 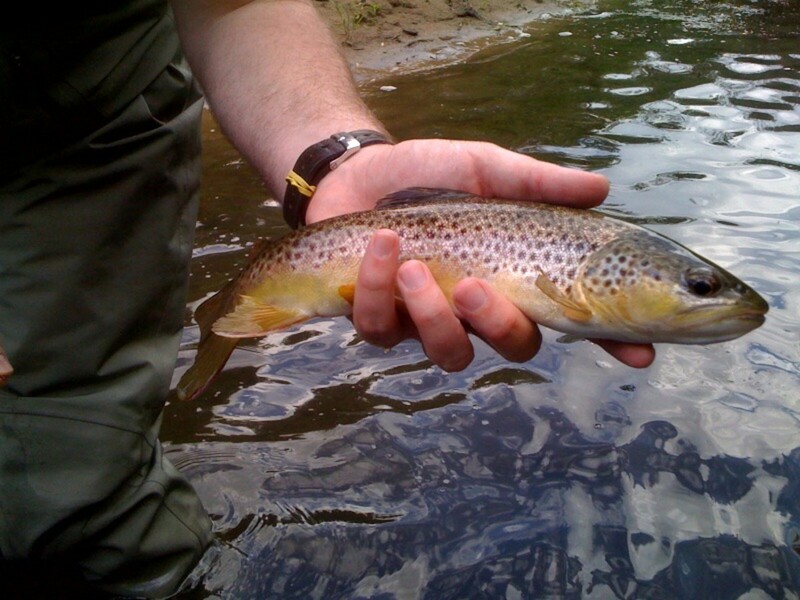 Looks like nothing in the stream, but for whatever reason, makes the big trout really mad, and they strike repeatedly. The only other "lure" you left off was the Garden Hackle. You know, worms! But, I only use them if my son and I are after dinner. Otherwise, it's for fun, and fly fishing. Check out my hub review of "A River Runs Through It" if you want. Great movie, better book, tremendous author. @Martin, I generally wouldn't, for the spinner to fish effectively you need constant tension at the right angle to keep the blade moving. If snagging bottom is the main concern here, I would switch to a lighter weight, which should ride higher in the water column. @Trout Slayer, I couldn't agree more, that "Bee" Panther Martin kills. You can never have enough, always a great go to choice in unfamiliar water! The Panther Martin (blk/ylw 'Bee' pattern) should be number one on your list...if, you are fishing streams, creeks, or rivers. Many lures go in and out of fashion over the years, the PM has consistently landed me more fish than any other lure during my 20+ years of fishing trout! It does work in lakes, but not as effectively...my number one lake lure would be the 1/8oz Thomas Bouyant (silver or gold). 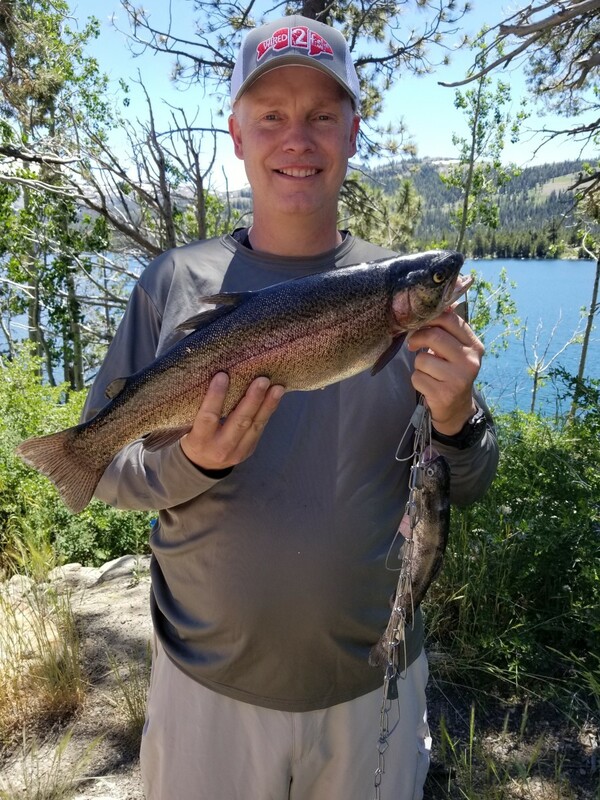 This lure has consistently produced the largest number of trout for me while fishing trout in lakes and ponds. 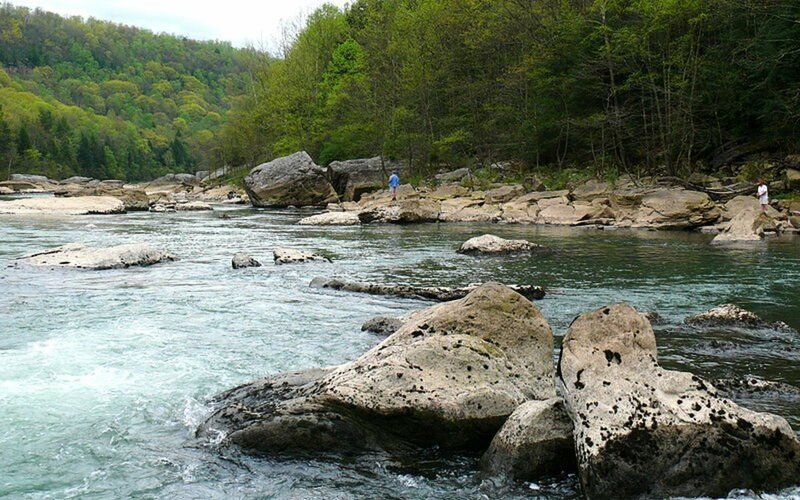 Do you use Bobbers/floaters with the rooster tail in low water rivers? Yes you are right, one thing i want to add, for a slow moving or still water Mepps agila is the Best but for fast current i feel the wordens rooster tail spinner(willow blade) is the best. Definitely agree on a couple of your choices there. 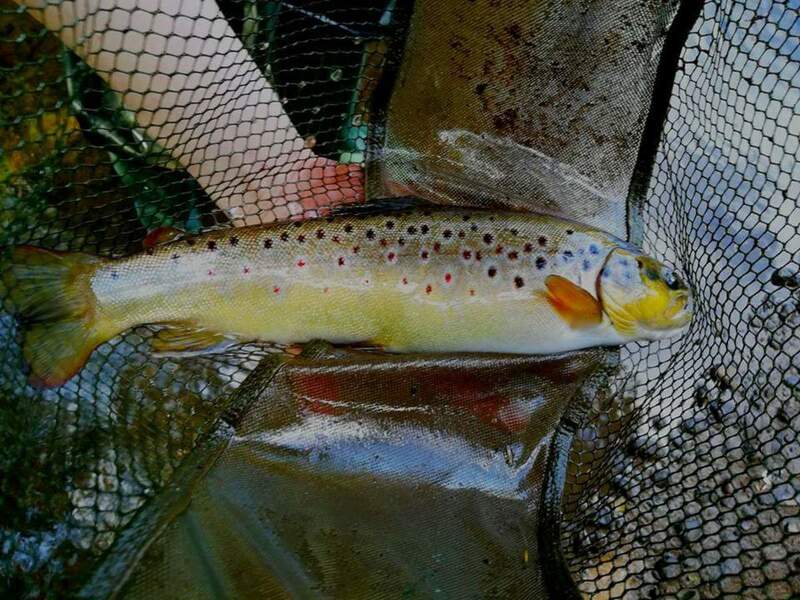 The Panther Martin is one of my absolute favorites for fishing for trout in rivers, and when I am trolling, floating Rapalas are my first choice of the day.